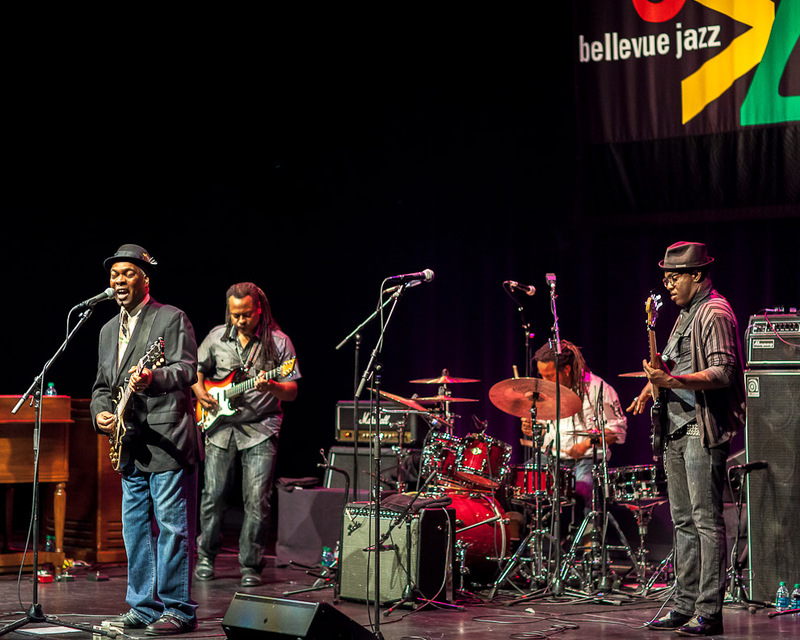 Booker T Jones performed at the the 5th annual Bellevue Jazz Festival at the Meydenbauer Center on Friday June 1st. Yes this was the Booker T of the famous Booker T and the MGs. This set blew me away. I had no idea he was still around and and the music was grand and I love the new group of young musicians he has playing with him now. 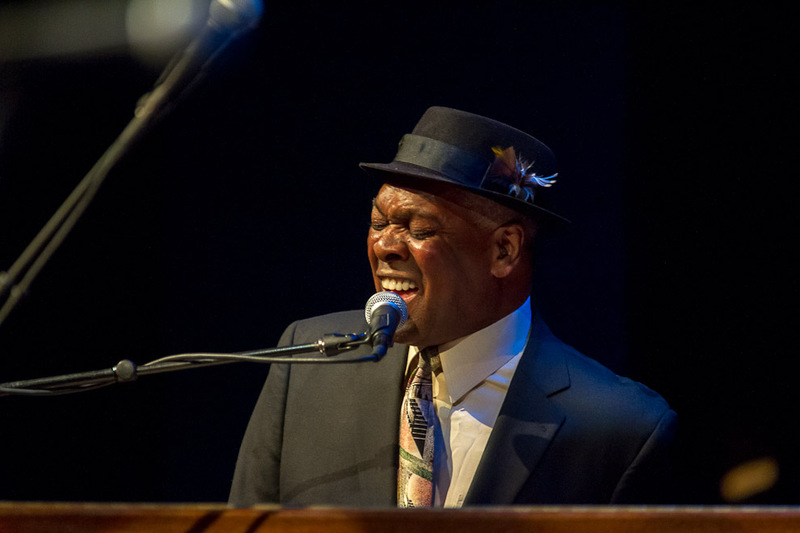 Booker T. Jones is a multi-instrumentalist, songwriter, record producer and arranger, and four-time GRAMMY Award winner, but he is best known as the front-man of the band Booker T. and the MGs. The musical seed was planted early in Jones. Before he was even a teenager he hauled his stack of newspapers to Phineas Newborn’s front yard where, he folded the papers for his after-school delivery route, and listened to the jazz great practice piano. With those notes ringing in his head, he’d set out into the neighborhood, picking up the sound of the streets, the sound of the city, the sound of the people – and form new rhythms in his musical mind. 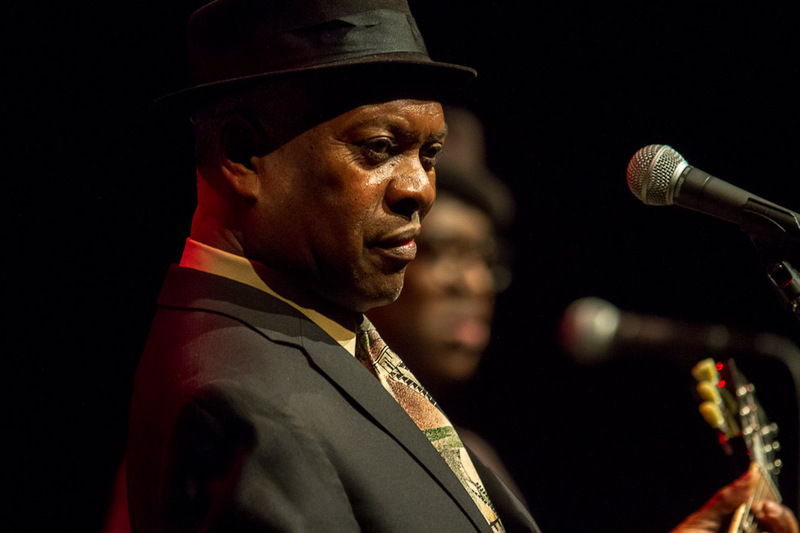 Jones first entered into the professional music scene at age sixteen, when he played baritone saxophone on Satellite Records’ first hit, “Cause I Love You,” by Rufus and Carla Thomas. 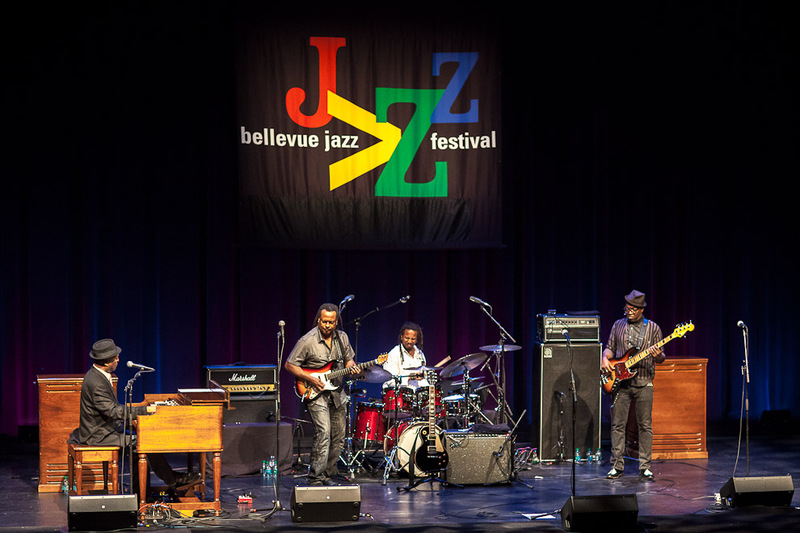 Over the next few years, Jones divided his time between studying classical music composition, composing and transposition at Indiana University and playing with the MGs in Memphis on the weekends. For more than 15 years at Stax Records (formally Satellite), he explored the potential of soul and rhythm-and-blues with the MGs, both on their own albums and behind vocalists. Jones was inducted into the Rock and Roll Hall of Fame in 1992, and was honored with a Lifetime Achievement GRAMMY Award in 2007. 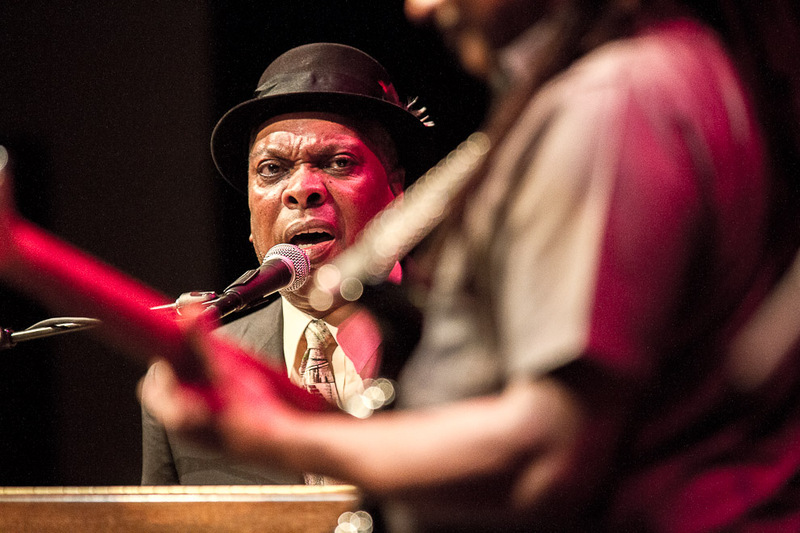 In 2011, Jones released The Road from Memphis. 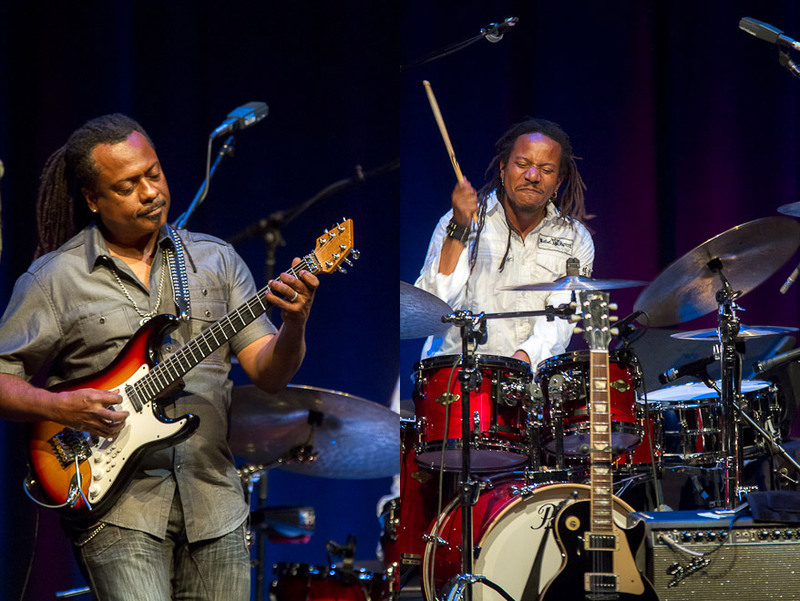 The backing band included Questlove (drums), “Captain” Kirk Douglas (guitar) and Owen Biddle (bass) from The Roots, as well as former Motown guitarist Dennis Coffey and percussionist Stewart Killen. 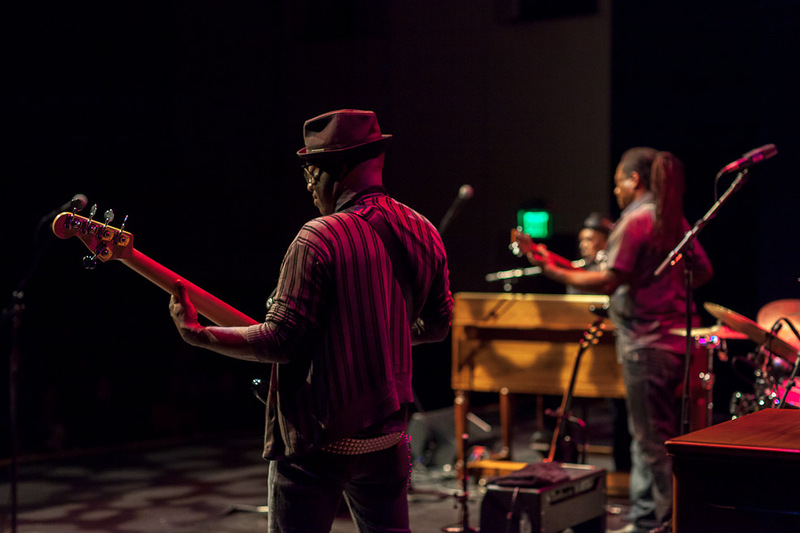 The album features vocals by Yim Yames, Matt Berninger, Lou Reed, Sharon Jones and Booker T. Jones himself, as well as lyrics contributed by his daughter Liv Jones. In 2012 The Road from Memphis won at the 54th GRAMMY Awards for Best Pop Instrumental Album. Jones now holds a total of four GRAMMY Awards.